One of Dublin's most famous landmarks was demolished by controlled explosion this morning. 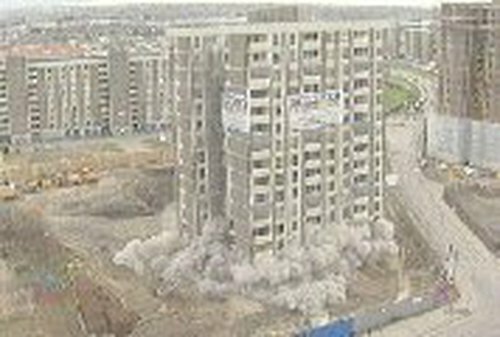 McDermott Tower was the first of Ballymun's tower blocks to be demolished in this way. 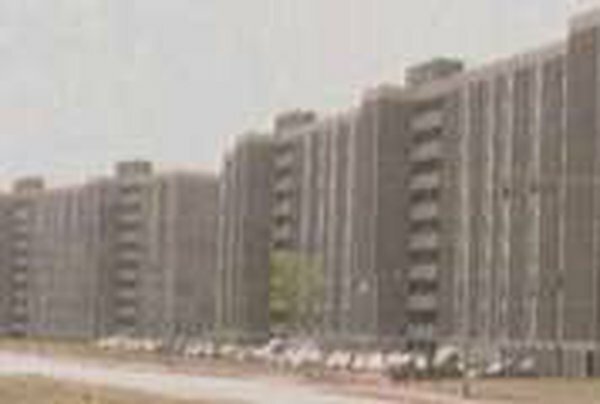 The tower, on Ballymun's main street, was 15 storeys high and once contained 90 flats. Thirty separate detonations were triggered in the building, bringing it down in five seconds and leaving around 8,500 tonnes of rubble. A 100-metre exclusion zone had been put in place for safety reasons. A hotel will eventually be built in its place. Six blocks of flats in Ballymun have already been taken down by special equipment. McDermott Tower was the only one suitable for a controlled explosion because of the open space around it. It took six weeks to prepare the building for demolition. Today's event was overshadowed by the death last month of one of the demolition workers, who died while removing a staircase in the tower.